Non-Profit organizations are formed and run to fulfill some kind social welfare program. This could involve an educational, charitable, religious, scientific or environmental purpose. The motive is not to earn profit but to make a positive impact on the larger society. Although profit generation is not the primary function, Non-Profits still need funds to operate and sustain. The major source of revenue for non-profits is through public funding, grants, and private charity. Many Non-Profits apply for tax-exempt status. Since there is no profit, there is no tax. A non-profit may still be required to submit financial accounts to the tax authorities to identify how their operations are being funded. Tax-exempt Non-Profits are classified as 501(c)(3) organizations. If you run a non-profit organization and qualify for tax-exempt status in the U.S., you are not required to pay any federal business income taxes. In some cases, you might still need to report and pay state or local council taxes for use of public facilities. The accounting method for non-profit organizations, especially those that qualify for tax exemption is significantly different from regular businesses. There are no “Sales” or “Income” to record. Services that are directly utilized to benefit recipients do not result in income like service businesses. Although a firm may have stock or inventory in its possession, the inventory is generally given away for free or at a price much lower than its cost. On the other hand, the revenue is received as charity from other organizations and individuals, without provision of any direct benefit to them. The workers who carry out the operations of the non-profit are often volunteers and do not get paid for their contributions. 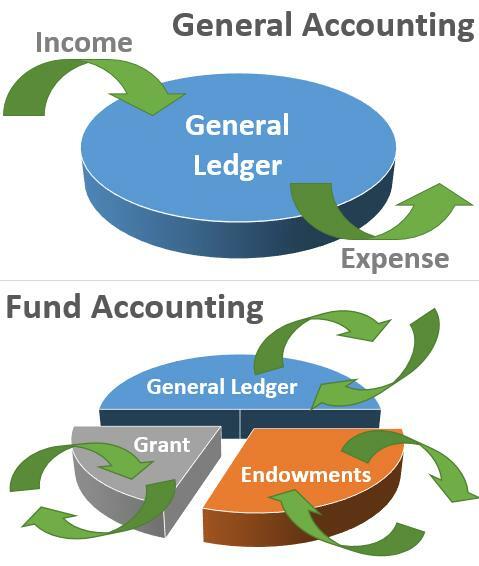 Both the cash and accrual-basis accounting methods can be used with Non-Profit organizations. The cash basis accounting records transactions when cash is directly received from or spent on an activity. The accrual method records a transaction when a transaction has taken effect. The cash may be paid or received in advance or later. Accrual basis of accounting requires the double entry system. Non-profit organizations are not exempt from tax by default and an application must be submitted to the IRS under Form 1023 to get the exemption. If the application is approved, the organization will not be required to pay some or all the taxes on its operating profits. However, Non Profits are still required to submit their annual financial accounts to the IRS for record keeping. Failure to do so can lead to penalties and cancellation of tax-exempt status. Advanced accounting software and automation tools used by non-profits can significantly boost the productivity and efficiency of Non-Profit organizations. Due to their operational needs, the accounting software for Non-Profit organizations must include the following three features. Non-Profit accounting software must be capable of recording all kinds of transactions. It should also allow you to automate and optimize recurring transactions such as vendor payments, labor wages, and utility bills. The software must also be capable of generating financial reports similar to regular software and running analytical tools. Improvement in efficiency is just as important for Non-Profits as any other organization. The revenue source for Non-Profits is non-linear. A Non Profit may get hundreds of small $10 donations in one month and a single major donation check of $500,000 the next followed by 2 – 3 months of no donations at all. The accounting software must be capable of adapting and recording this huge variation in donations. In the eCommerce age, The Non-Profit accounting software must also be capable of receiving digital donations including those made in alternate currencies to get the highest chance of receiving funding. One of the basic necessities for all modern accounting software is that they should be accessible by accounting staff 24-7 so that they can be updated from anywhere in real time. Non-Profits often collect donations in materials or services by making a charity drive. Many Non-Profit accounting software programs let staff and volunteers update inventory records while on the field, improving accuracy. The downside of cloud accounting is that it opens up the business database to cyber threats. Accounting software must include security features to keep it from being hacked or damaged by cyber attackers. Most accounting software companies update their platforms continuously to keep the security high.